Low profile, 2" high stainless steel platform with steel under-structure. Weights up to 500 lbs. 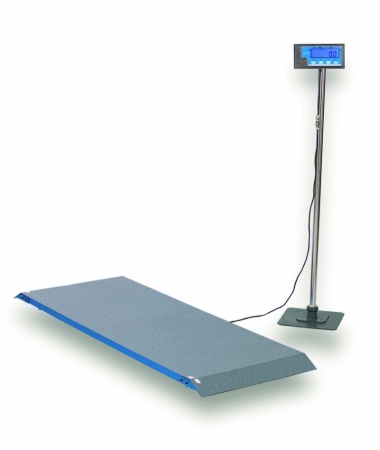 are measured in 0.5 lb increments, accurate to within 0.1%, and are displayed on the stainless steel indicator. Powered by 4 AAA batteries or a 110 volt plug-in adapter (both included.) Optional floor stand provides stable mounting for the digital indicator.